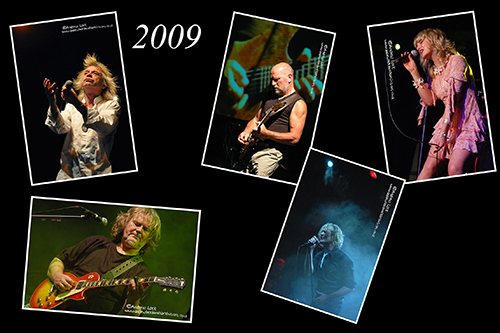 The second part of my look back at my years of gig photography and reviews takes me back to 2009 and again plenty of highlights including the photos here and the shows they came from - Magnum, Pendragon and Gun at The Leamington Assembly, Mostly Autumn knocking them dead at the Cambridge Rock Festival and a fab intimate Fish show at Cox’s Yard in Stratford-Upon-Avon. Other standout gigs included Steve Rothery’s Wishing Tree at The Bush Hall in London, Bryan Josh (Mostly Autumn) and his solo project Josh and Co at The Robin 2 in Bilston and the mighty Marillion at The Leamington Assembly. Reviews and in most cases photos from all of these shows can be found here on my web site along with much more from 2009.